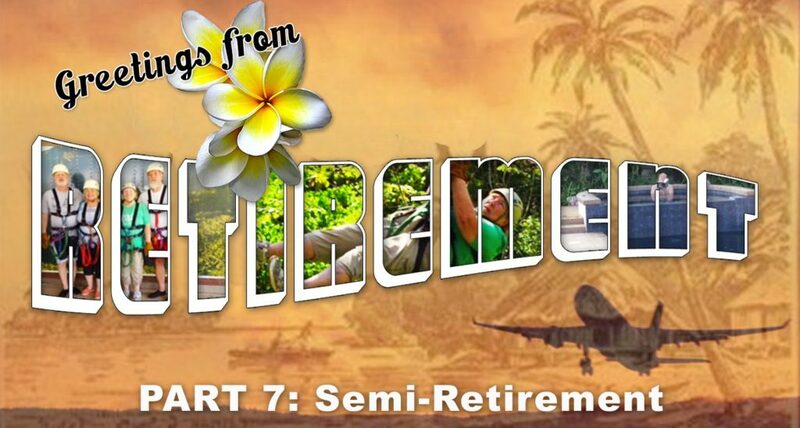 What’s the difference between a re-career versus mini-retirement versus semi-retirement? Admittedly, there’s a lot of overlap, and which path you’re on isn’t always clear except in hindsight. Re-careering, as the name implies, means retiring from one career to take up another, as Greselda Powell did in this post. Mini-retirement is more about taking a break from working, and returning to your career approximately where you left off – like Pat O’Konis and my husband Dave Cupo experienced. 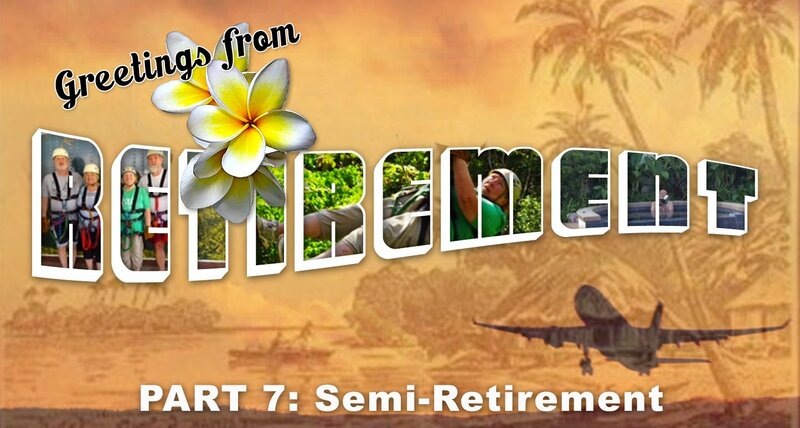 I think of semi-retirement as being for those who aren’t quite ready to leave the workforce entirely, but who want or require more permanent free time in their life, away from paid employment. Pat’s husband Jim O’Konis is a good illustration of the semi-retirement model. 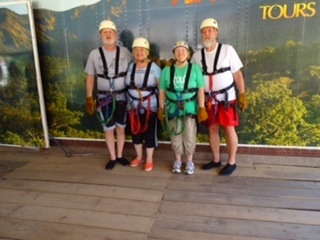 As I shared in my last post, Pat and Jim got married and both joined Aetna shortly after high school. Pat took a traditional mini-retirement to raise their two boys, returned to Aetna, and then retired for good in relatively traditional fashion in 2010. That’s not to say she isn’t plenty busy as a volunteer for the Connecticut chapter of the National Alliance on Mental Illness (NAMI), working in the office, teaching classes, moderating groups and helping out wherever needed. In the meantime, while Jim worked full-time through and beyond Pat’s mini-retirement, their dual career enabled him to semi-retire in 2002, a few years ahead of Pat. The gradual shift was partly Aetna’s doing. What started as a 2002 layoff turned into a temp position for Jim, which lasted for five years. Jim fully retired in 2007, and now also spends a lot of his free time volunteering for a senior transportation service and a local food co-op. Today, at age 68, Pat and Jim are happy with how things turned out for them. One of the key ways they feel they were able to make these various forms of retirement work was by being especially diligent about contributing to their 401(k)s while they were young. In addition, Pat and Jim are not lavish spenders. Their biggest “splashes” have been for traveling with the family. For more than 30 years, they’ve been renting a house in Martha’s Vineyard each summer for family gatherings. More recently they’ve started traveling for a month each year, again holding an open house, but in more exotic places like Hawaii, Puerto Rico and Costa Rica. In exchange, they’ve warned their family not to expect a big inheritance. “We’ve told the kids to expect nothing,” says Jim. “Remember those vacations!” he tells them. “We’re going to spend tons of money, and I don’t care,” says Jim. We’ll see where we’re at after that, and cut back if we need to. That’s not to say they’re not keeping an eye on their assets; they just know what they enjoy owning and doing, and they plan carefully to make those things possible. As with their 401(k) contributions, Pat describes how they sit down every year and look at where they’re at, what they want to do in the future, and whether there are any big changes. Meanwhile, Jim dreams of making one of their annual trips a visit to Tahiti – maybe for that 50th anniversary/70th birthday bash. 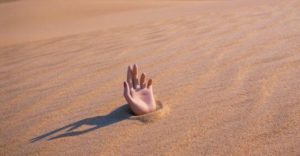 SAGE Serendipity: A recent public radio fund drive spot made me smirk when it asked “Why isn’t quicksand scary any more?” So we searched it on “The Google” and lo and behold this question was answered in 2010 in Slate Magazine’s Terra Infirma: The rise and fall of quicksand. Radiolab then did a piece on it called Quicksaaaaand! where they interview the Slate author, Dan Engber. Engber’s article is funny, but in-depth and seriously reported. Next week… what ever happened to the Western shows with covered wagons carrying nitroglycerin?